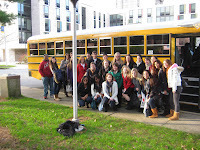 Hofstra Student Life: Christmas In The City! 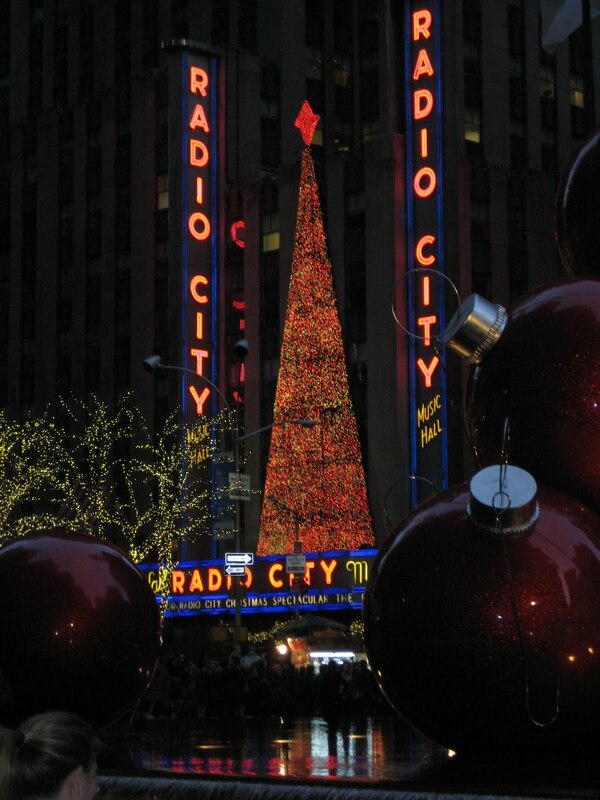 Yesterday the Office of Student Leadership and Activities took 26 students into NYC to see the Radio City Christmas Spectacular! The city was all decked out with festive lights and decorations and boy did we luck out! 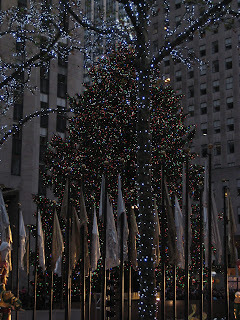 The Christmas tree at Rockefeller Center was recently lit on November 30th and crowds were swarming to get a look. Our bus driver drove us right through the crowd and even stopped long enough for us to get a picture! 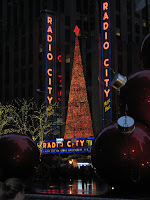 The Rockettes put on an AMAZING show with fancy costume changes and excellent choreography. This year’s show included a 3-D video game where the superhero Rockettes needed to save Christmas as they brightened the hearts of the Humbugs, and strengthen the bond between a frustrated mom and her little daughter. The 3-D video game was not the highlight for Hofstra students though…it was way more simple…LIVE ANIMALS ANYONE? Yep—there were sheep, donkeys and camels on stage for the final Nativity scene and you had to see the way our student’s eyes lit up when they saw a misbehaved sheep look the other way during the show! As Santa tries to explain, sometimes it truly is the little things in life, so remember to enjoy them! Wishing you and your families a beautiful holiday season and best of luck on finals!